Chandigarh Amritsar Chandigarh teaser got released with Gippy Grewal’s last week released ‘Manje Bistre 2’ but on YouTube the teaser out today. 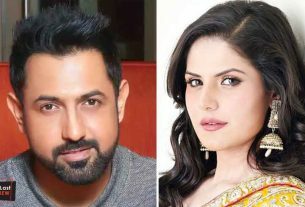 Gippy’s comedy film ‘Manje Bistre 2’ got mixed reviews from audience but going high on Box Office due to large scale promotion. After Manje Bistre series, Gippy Grewal is again playing a Sikh Punjabi boy in Chandigarh Amritsar Chandigarh. The Sikh boy belongs to Amritsar and the beautiful Sargun belongs to Chandigarh, from the teaser. Now this chemistry would be watchable as teaser is crunchy. Karan R Guilani is director of ‘Chandigarh Amritsar Chandigarh’ and Sumit Dutt, Anupama Katkar and Eara Dutt producing it. Film is slated to release on 24th May 2019. Stay tuned for further updates about Gippy and Sargun’s Chandigarh Amritsar Chandigarh. 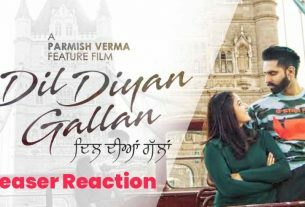 Parmish Verma’s ‘Dil Diyan Gallan’ Teaser Review/Reaction: It takes you high with its magical background score, Cinematography and poetry.